If you are planning to embark on a weight loss journey but you don’t want to pay out for a gym membership, then one thing that you might want to consider as an option for you is home exercise machines. There are so many different types to choose from, some of which are good for weight loss and others which are not. The two main types of machines that are popular for use in the home are the spin bike and the exercise bike. Each of them is good for weight loss purposes, so choosing between the two can be quite difficult. Take a look at the pros and cons of each type of bike below so that you can choose the right type of bike for you. The spin bike has seen more of a rise in popularity in recent years, probably because spin classes have become all the rage. These types of bikes are great for HIIT workouts, so if you want to lose weight in a short amount of time then this might be the right type of bike for you. Take a look at the pros and cons below. Fast Calorie Burning – One of the biggest benefits that come with the spin bike is that it is great for burning larger amounts of calories in a shorter amount of time. This is because you do a lot of high intensity interval training with the spin bike. If you don’t want to lose a lot of weight but you want to shed a few pounds in a short space of time then this is a good option to consider. Great for Lower Body Toning – If you want to tone your lower body as you lose weight then a spin bike might be the best option for you. Because of the high intensity workouts that these types of exercise bikes have to offer, you are able to do a lot of toning as you exercise. 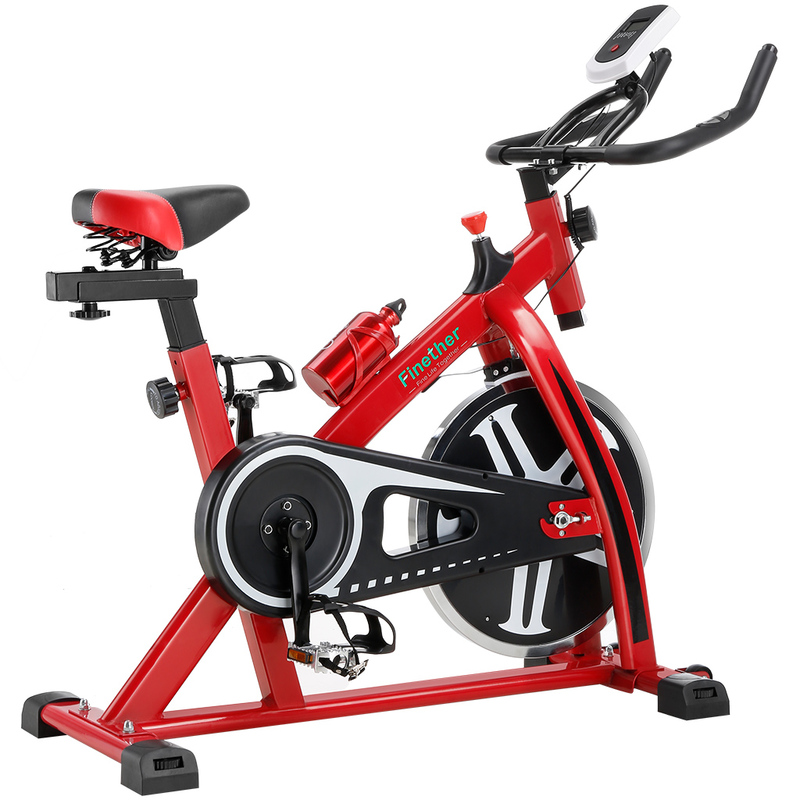 High Intensity so Not Suitable if you are Unfit – If you are especially unfit then it is likely that you are going to find using a spin bike quite difficult. As we have already mentioned above, the spin bike operates at quite a high intensity, so it can be very difficult to manage if your fitness levels aren’t great. 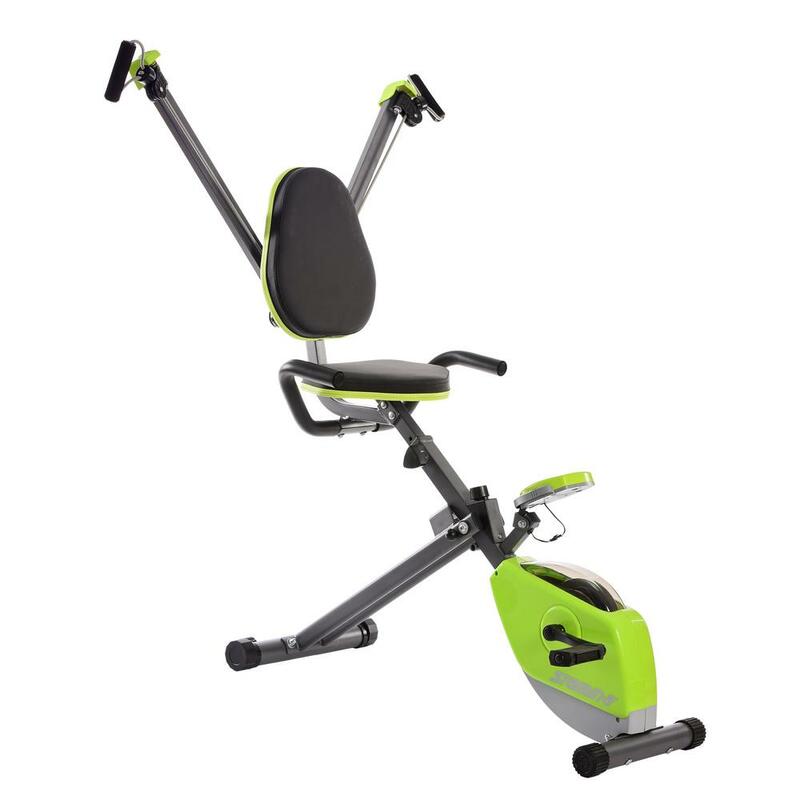 It can also be quite hard on the joints as well so if you have pre-existing joint problems then the spin bike probably isn’t the best option for you. Not As Much Variety In Terms of Programs – One thing that you will find with a lot of spin bikes is that they don’t have as much variety in the programs that they offer. If you want a bike that will offer you a great deal in terms of variety then your best option would be an exercise bike because they tend to have more programs to choose from. The exercise bike has been around for decades now, with most of us owning one at some point for another. The good thing these days is that as technology has progressed, so has the world of fitness and we now have exercise bikes that have a lot more to offer than they once did. Here are some of the pros and cons of the exercise bike. Good for Beginners – One of the biggest advantages that comes with the exercise bike is that it is good for beginners. If you want to lose weight and you are completely new to the world of fitness, then you will definitely benefit more from a standard exercise bike. There are actually some great models available with weight loss in mind so take a look at some of these. Adjustable Resistance & Incline – Another great thing about the exercise bike is that you are able to vary the resistance and incline levels. This is especially beneficial if you want to be able to progress with your fitness levels or train for road cycling. More Affordable – Another thing that you will notice with exercise bikes is that they tend to be a lot more affordable than spin bikes, so if you are working with a tight budget then this is definitely going to the better option for you. Not as Much Intensity – The main drawback with an exercise bike is that it does not usually offer as much in the way of intensity as the spin bike. If you want something that is going to really push you to your fitness limits, then a spin bike is probably going to be the better option for you. As you can see, both the spin bike and the exercise bike have benefits and drawbacks. However, both of them are good for weight loss. Choosing between the two simply depends on what you want from your training program.